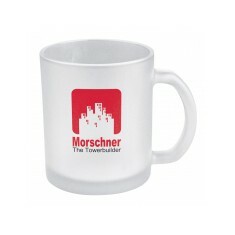 Want to hand out a mug that is sure to be remembered? 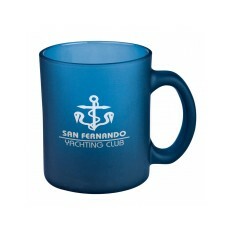 Our Promotional Glass Mugs breakaway from the mainstream china or earthenware mugs and are sure to make a lasting impression. 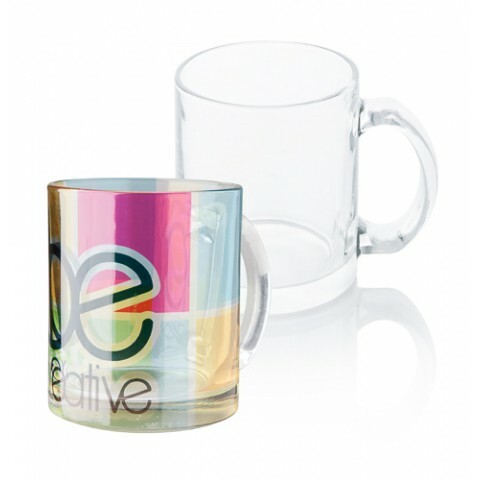 Personalised glass mugs are a superb way to make your promotion stand apart from the competition. 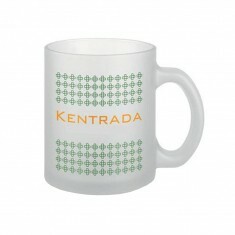 Their unique style is great for gift shops and any offices that want to break away from traditional style of branded mugs. All of our range can be either printed in full or spot colours to help keep your customers mind on your brand with every sip from their custom printed glass mug. We have both frosted and clear glass versions so you can pick the one that you prefer. One of our favourite from this range is the custom printed Milton Glass Dye Sub Mug. 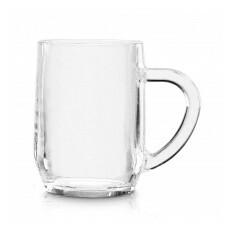 This clear personalised glass mug comes with a full colour dye sublimated print to the outer side of the mug so you can brand this with as many colours as you like. This vast branding area is perfect for spreading your message across for everyone to see. Want more information on our promotional glass mug range? Give our sales team a call today! Stand out in your office with this quirky alternative to a ceramic mug. Custom..
Frosted glass finish. Quick delivery available. Large customisation area. Say goodbye to boring mugs and give someone a coffee break to look forward to .. 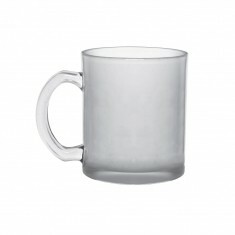 This glass coffee mug decorates any desk. 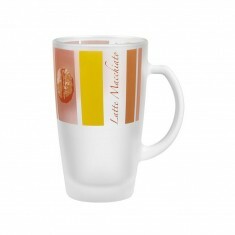 The trendy colours in frosted design..
A great alternative to the traditional latte glass, this high quality glass mu..